Though I have not finished this "meaty" book, I can tell you that it chock-full of titillating content and is absolutely worth purchasing. The front half of the book explains 15 of the country's top dietary illnesses with a great amount of wisdom in preventing and reversing them, and the back half of the book is all about what to eat (Dr. Greger's "Daily Dozen") and more! In addition, This book is rich in humor and valuable content. Dr. Greger, as always, has me in stitches every time I sit down to read a chapter or two. He's a brilliant physician with an enormous amount of expertise in the field of nutrition. Don't wait. Find out How Not to Die! I read this book and loved it. The whole way through I kept saying I need to remember this. Now I'm going through the book a second time with a yellow marker! I ordered a book and had it sent to my parents. My father's reading it now so I'm anxious to hear what he has to say since many of the illnesses he and my mother have experienced because of their age!! I got the book but loaned it to a new friend before I read it. Can't wait to dive in. 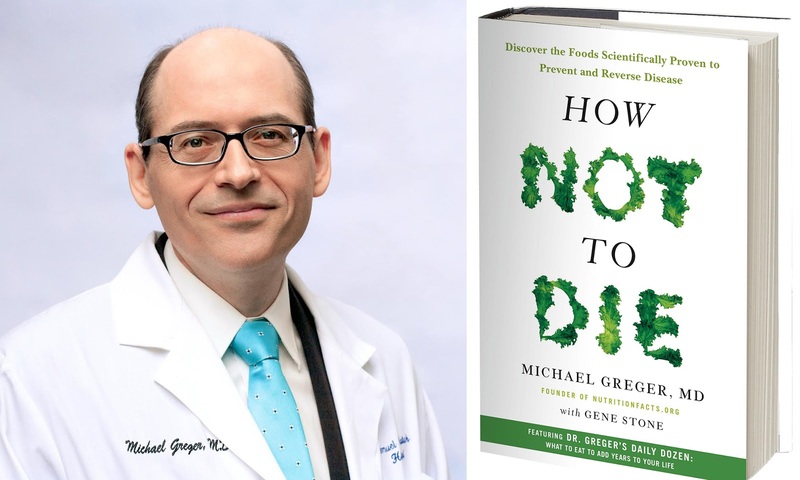 I love Dr. Greger's wit and knowledge! Same here! He's a gem!